Keepers Pool in Sutton Park is said to have been made in the fifteenth century, but a twelfth century date is equally likely. In setting out a deer park, the Lord of the Manor needed to include areas of woodland, some open spaces, and some stretches of water; when Sutton Park was made Wyndley Pool already existed as a manorial fish pond, but the park was large enough to need an additional water feature, so Keepers Pool was made. In the early days of the Park, before the year 1200, the Park Keeper’s lodge was beside Keepers Pool. 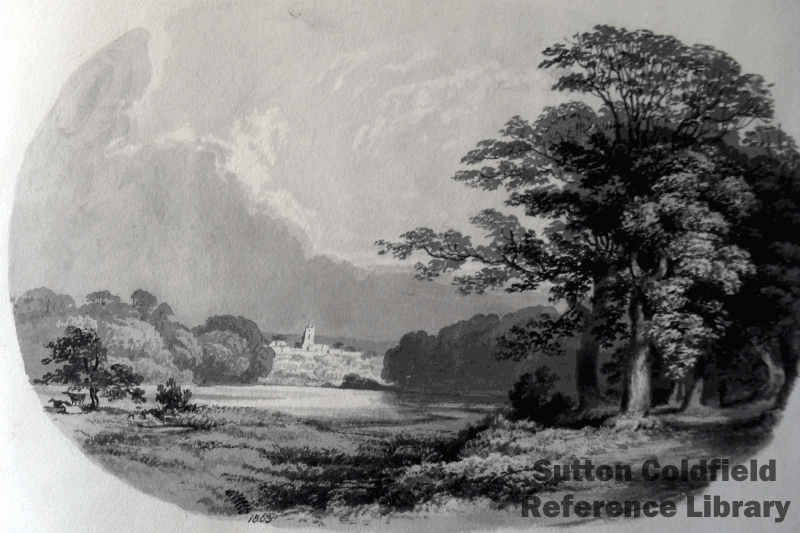 Richard Beauchamp, Earl of Warwick, Lord of the Manor of Sutton Coldfield, reinforced the earthen dams of the Sutton pools (including Keepers) with stonework in the 1430s, but by then the Keeper’s lodge had long since disappeared, and the pools were managed as fish ponds. A hundred years later, Bishop Vesey renewed the Park boundary and got rid of the deer so that the townsfolk could enjoy the pasturage and woodland there, but Keepers Pool remained in private hands. The Charter of 1528 apparently transferred the property of the Lord of the Manor to the ownership of the new corporation - certainly the corporation took on responsibility for the Park and the town mill. In 1533 they gave a long lease on the mill to Thomas Keene, who had married Bishop Vesey’s niece. By 1533 Thomas Keene was also the owner of another old manorial property - the site of the old manor house on Manor Hill and the land pertaining to it, probably given to him by Bishop Vesey as a wedding present. A document of 1590 describes this property. The owner in 1590 was Simon Parrott, who came into the property when he married a descendant of Thomas Keene; Parrott was heading for bankruptcy, and the 1590 deed conveys the manorial lands to trustees for the benefit of his wife. As well as fields, including the Park House grounds now used by the donkey charity, it included four pools, described as fisheries - the mill pool, Middle Pool (this was somewhere near Clifton Road), Wyndley Pool and Keepers Pool. Marmaduke Dawney married Simon Parrott’s widow in 1600, and so Keepers Pool belonged to the Dawneys until the death of Thomas Dawney in 1671, when the old manor site became the property of Holt of Aston Hall. Eventually Keepers Pool came into the ownership of Lord Somerville, one of the heirs of the last of the Holts, in 1830.